My Katy and Maggie are elderly 16 (now 17) year old cats. I brought them to live in NYC in order to escape the trauma of an extensive renovation at my home. I travel somewhat with my job and have a 90 year old Mother in the South so I needed a caring and attentive cat sitter while I was away from home. I could not have special ordered a better cat sitter than Gloria Rosen. She was what I really needed. 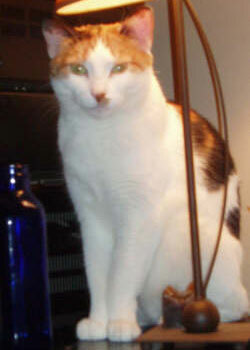 She was attentive to both my cats and me (a nervous owner), knowledgeable and completely reliable. When she was not available she found other Katie’s Kitty sitters to cover her. She was so attentive to my Katy who is in very delicate health that I was not fearful every time I had to leave. She was able to notice that my Maggie was not just trying to cough up hairballs but needed to be checked for other things. The vet found Maggie was having asthma attacks and now is fine with medications. I would probably still just think Maggie was having trouble with hairballs if Gloria had not clued me into looking further. My cats and I have had a wonderful experience with Katie’s Kitties and Gloria in particular I would recommend them without question. Mike and I were so happy to get our pet sitter's email when we landed back in NYC yesterday. The photos are just so sweet and we really appreciate Kathy taking such great care of our babies. I can't thank her enough for taking such good, thoughtful care of them. I would love to stay in touch about future care. I am extremely delighted with the services provided by my new favorite cat sitter, Anthony from Katie’s Kitty! When I was first put in touch with Anthony, he spent considerable time on the phone with me in order to get to know Blackie’s needs and daily routine, then he volunteered to come over to my apartment so that he could get to know Blackie before I went on vacation. While I was out of town, Anthony emailed me frequent updates to let me know that Blackie was doing well. A heat alert of record high temperatures occurred in the city while I was gone & Anthony went the extra mile to stop by my apartment and make sure Blackie stayed cool and safe. Anthony is incredibly kindhearted and compassionate with Blackie and I cannot say enough positive things about him. He’s terrific and I feel very lucky to have such a devoted person to care for my cat. I will continue to use Anthony and Katie’s Kitty every time I go out of town! Jeanne, of Katie's Kitty, was wonderful! Knowing that he is in such good hands, with someone who genuinely cares about his welfare, allows me to actually relax while on vacation. Thanks so much! We've been using Katie's Kitty for several years, and we're really pleased with the service. We have 4 cats - 3 are on medication, and one is really afraid of strangers - and so we've always been nervous about leaving them. We've found other sitters to be problematic. Which is why we're so happy to work with Jenny from Katie's Kitty. They just love her! She's been great to work with, easy to reach, easy to schedule, and the takes great care of them. Thank you! I found Becca, of Katie's Kitty, incredibly responsive, professional and thoughtful. On several occasions, she took the time to send me a personal email, detailing her interactions with my cat . . . this was particularly appreciated, as its always hard to be away from your pet. I would not hesitate to use Becca in the future and would certainly recommend her to fellow pet owners I know. I made it home and my kitties and apartment look fantastic!! So well cared for and loved. I can't thank you enough for the time you spent with them and cleaning up. I'm just so impressed. Thanks also for my stocking surprise and kitty treats. We are spoiled!! beyond any of my expectations! We recently moved and were in need of a new pet sitter. WELL, we found the MOST AMAZING person that works at Katie's Kitty! The service and attention to detail was above & beyond any of my expectations! Our home was left just as we had left it, wonderful email updates had been sent and we really were at ease knowing someone was there visiting our cat. This really was the best experience we have ever had. Not only will I recommend your service to everyone I know with animals but I have already booked our next trip with your service! We are so thankful to have found you! Now we know whenever we travel Coco will be in excellent hands! Thank you so much for your wonderful service! I just wanted to thank you for doing such a great job watching Madsen. We really appreciate it. And next time we will definitely be contacting Katie's Kitty to watch him. Being a new mom, of course I was hesitant about leaving Xander in New York while I was away for a week. His first plane ride when he was 3 months old was a very noisy one and no one, especially my plane mates, wanted a repeat of that. Alison was heaven-sent and cared for Xander like her own. Calling every day, sending text messages and email photos, Alison knew exactly how to keep me and Xander happy and comfortable. Thank you Alison and Katies Kitty for being so great...Xander really misses you! We really appreciate everything Becca did for us and it sounds as if our cats do as well. We have had a great experience with Katie’s Kitty and specifically with Becca. It is great to have a true cat lover caring for our pets. Thanks again for everything, Becca has been amazing! I moved to Manhattan a little over a year ago and was so worried about finding someone to take care of my two cats, Jack and Idgy. I travel often so am in frequent need of a cat sitter - and a reliable one because Jack is diabetic. Fortunately I found Katie's Kitty, and Jenny has been an important friend of the family ever since! I can always count on her to take care wonderful care of Jack and Idgy, and sometimes with really, really short notice. She makes my life so much easier and takes away so much stress because I know my cats are always in good hands. Thank you Jenny and Katie's Kitties for being so wonderful and taking such great care of my cats! First I must again say THANK YOU SO MUCH to Katie's Kitty for taking such wonderful care of the kitties, they were beyond content and happy when I got home late last night (we caught an earlier plane), it's such a relief to know they were in great hands. Katie's Kitty has been of great help to me during my numerous trips abroad. My cat is a very spoiled animal, who has been always too scared to leave the apartment, so a kennel is not a viable option when I am away. I found Katie's Kitty through friends and was extremely impressed by their quick response to my request, their friendliness and, most importantly, by their professionalism. The cat sitter, Anna Bazan, who has been looking after my cat whenever I am away, is a caring, animal loving and reliable person. She comes over not only to feed my cat, but also to play with her, spend some time in the evening. The knowledge that I can rely on Anna at any moment to be able to come and look after my cat has given me peace of mind during my travels, which I often learn about only a day or two in advance. As a recent NY transplant, I desperately needed someone to watch my dog while I left town for a week. As you can probably imagine, there's not too many people that I would trust with my 20 year old blind poodle. But Katie's Kitty was exactly the right place with the right people with the right attitudes. Thanks so much for making my trip that much easier (and his experience that much better!). C'mon, he even got a day trip to the suburbs of New Jersey out of it! Thank you Olga V. and Jeanne V., of Katie's Kitty, for taking such wonderful care of my cat Batman. You both clearly love your cat sitting duties and I know Batman always looks forward to seeing you when I'm away. I always know I'm leaving him in wonderfully caring hands when he is with you. Katie's Kitty went out of its way to find a cat sitter for me, four days before the busiest holiday of the year. I appreciate that kind of reliability, and also the professional, caring manner of its sitters. I can't tell you how much I love your service. My husband and I travel often and at the last minute and Jeanne is always there to help take care of our two kitties. I can relax and enjoy my time away knowing they are in good hands and being cared for by Katie's Kitty. Thank you! You are so sweet and we are so appreciative of your taking care of our babies so well. I think they miss you and are trying to adjust back to their old routine! We will absolutely call Katie's Kitty the next time we travel. And I will also spread the word about your services! Katie's Kitty took great care to feed and play with Fifi, and did a wonderful job. Our sitter went well beyond what we expected of her and even left us a lovely gift on her departure - quite unexpected and very sweet. She was completely trustworthy and responsible, calling us with updates on Fifi that we had not even anticipated. All went well and we returned to find a very content cat. I offer my highest recommendation to Katie's Kitty on their professionalism, compassion, and integrity. I highly recommend Jeanne, of Katie's Kitty. She is incredibly thoughtful and caring, and truly welcomes her guests into her home as if they belonged there, and goes above and beyond the call of duty to make their stay with her as comfortable and pleasant as possible. 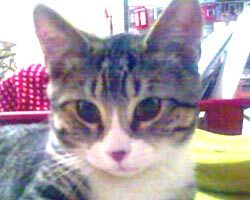 I particularly appreciated her attention to my cat's habits and health, through which she identified that my cat had a medical condition and I was able to obtain treatment for her. Periodic emails with reports of her guests' status are an extra reassuring touch. Thank you so much for doing such a great job of looking after Izzy for me. She looked in wonderful condition when I got home, and seemed quite happy! I’m glad you enjoyed looking after her too. She is such a sweet little thing, and I’m sure she will have missed her daily visit from you today! I will definitely be using Katie’s Kitty’s again, as it has been a smooth and easy process for me, and I think Izzy has had a good time too, so thank you again! Mark and I want to thank you, Rich and Frances for taking such great care of Plonky for us. I haven't seen her yet but Mark said she is her usual self and that's what we were hoping. I'm sure the home care situation with you guys is much better for her. I loved the photos and your emails!! It makes such a difference hearing that she is OK while we are away. I hope she didn't misbehave too much. She is a bit spoiled and still young so sometimes she can be a handful. Thank you, Katie's Kitty, once again for taking great care of Stella! She was perfectly content when we got home!! Thanks again for the reliable service! We just got home and Peanut is doing great! She's completely mellow, social and even quite playful (which is a first for her after I've been gone for a few days)! Thank you so much again for taking such wonderful care of her. Just letting you know I am back home and loving on Uzi! as usual, he was happy and relaxed! Thank you much for taking such great care of him! As usual, I'm thrilled with the care you gave him. Adela is so great with my cats, Lulu and Yao, who just lov' her ... You are lucky to have such a nice and knowledgeable person to take care of cats. And my cats (and I) are lucky to find Katies Kitty! Thank you so much for taking such good care of my kitties. They were happy and content and well taken care of and it showed. I will absolutely contact you again when I need a sitter. 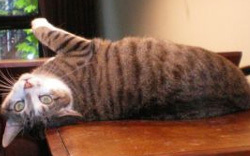 Diane Goodstein is probably the best catsitter in Manhattan! We have enjoyed her and so have our cats. She is a very kind woman. We just wanted to state what a great job Michael, from Katie's Kitty, did with our cat, Ephraim. It was our first time leaving him and we were quite nervous. Michael met with us beforehand and made us feel comfortable. During our vacation, Michael regularly updated us as to what Ephraim was up to and how he was adjusting. He was very accommodating when our pick up times changed at the last minute. All in all, we felt very comfortable with Michael, and when we picked up our cat, it was very clear that he was also quite comfortable with Michael! The next time we go away, we are very happy to know that we have someone who we can trust our precious kitty with! It has been my pleasure to work with Anthony at Katie's Kitty. As a catsitter, he has been impeccable and has always been thoughtful and respectful in his work. I greatly appreciated his having taken the time to play with my cat while I'm away, and paying attention to the little details that I'd requested in order to make my cat feel at home and loved. Receiving email updates on my cat while abroad helped assuage any fears and worries I'd had upon abandoning my little kitty Warburton at home. I recommend his catsitting services to anyone who may be seeking a pet sitter. I have had the pleasure of having Tony, of Katie's Kitty, look after my cat, Stella. When Tony first came over to meet Stella, she immediately took to him and I could tell right away that Tony is a "cat person". I have nothing but wonderful things to say about Tony. He takes such great care of Stella - when I come home she is always happy, well fed, brushed and her food bowls and litter box are always immaculate. He sends detailed email updates and even brings in my mail for me. Thank you so much!! You are so wonderful and Bunny and I are really happy to have met you. The only worry I had was who would pet and talk to her, but then we found Katie's Kitty and I have no worries at all. Thank you so much, Olga, of Katie's Kitty. Not only have you made Bunny happy about her move from San Francisco to NYC, you've made her Mommy think NYC is a much nicer place because of you! Tony, from Katie's Kitty, came to my home to meet Lola before I went out of town, and she was immediately comfortable with him-she even lay down! (She never does that). He sent me an email update each day with feeding and bathroom behaviors, as well as their own little routines and inside jokes they'd developed together. Wow--much more than I'd expected. I know that Tony will take care of my best friend in the world without a hitch, and that makes leaving home easy and coming back even better. I love using Katie's Kitty for my two cats, Lily and Jane. I literally stumbled across Katie's Kitty and have had the most pleasant and easy experiences since my cats were about 2 months old. Josh is trustworthy and I have always felt comfortable allowing him into my home and I know that he cares about animals and spends the extra time to play with the kittens and make sure they feel loved while I'm away. The company is well organized and very easy to arrange visits and payment. I would recommend Katie's Kitty to anyone over a stay at a kennel or vets any day! I recently moved to New York with my dog Candy (a rescue that almost died after brutal abuse). I was very apprehensive about a pet sitter or dog walker for Candy, since she has such huge trust issues with humans. I found Allison at Katie's Kitty after months of very thorough research, and all my doubts went away. She was sweet and caring from day one and always responsible, patient, loving and playful with Candy. I fully trust her with my puppy's care (even though she's a handful) and I feel very fortunate to have met her. Diane, of Katie's Kitty, is the only cat sitter we've ever had that gives our (spoiled) cat the love, attention and time that she requires to feel safe, secure and happy. There is zero difference in Shelby's behavior when we return from a trip, which speaks volumes for Diane. Your cat won't even notice you're gone. We have had a great experience with Katie's Kitty and everyone involved. Our two Yorkies have been very well taken care of in the many times we have used their service. We have employed the services of Katie's Kitty many times. We were nervous at first given as we had never done this before, but soon after dropping him off our minds were at ease. The professionalism and experience of the sitters was immediately reassuring and instilled a sense of trust and we knew we had made the right decision. 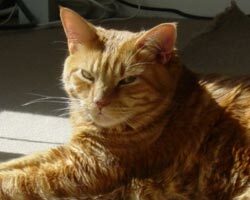 It was much easier for us and we feel much better for the well being of our cat to leave him with someone that will be there with him around the clock rather than bringing him with us on trips. I had requested that the sitters email me updates and both were great about keeping us informed this way. And the process to sign up for the services was easy and quick; Peter was great working with us. 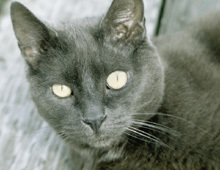 We will without a doubt continue to use the services of Katie's Kitty and their responsible and experienced sitters. Nola, our precious cat, was in the loving care of Jeanne, of Katie's Kitty, for four weeks last summer. We felt so fortunate that Nola was having the best vacation. It made ours so much better. We are very appreciative of all the times we've left Nola with Katie's Kitty. In having recently moved to Manhattan, I had no idea how to go about finding a reliable person to watch my cat, Max, while I was away on vacation. I found Katies Kitty online and met Jeanne shortly after contacting the site. I was very happy in meeting with Jeanne; she took a real interest in Max and his routine and asked all of the 'right' questions. I came back from my trip to find Max a happy cat - he had clearly gotten a lot of love while I was away! I plan to call Jeanne/Katies Kitty in advance of any of my future vacations. I have a couple of very loving, affectionate cats, and when I'm out of town, I don't want to worry about who I am going to leave them with and how often that person will stop in to visit them. I found Michael through Katies Kitty a couple of years ago, and I'm so grateful to know I can turn to him whenever I'll be away for a few days. He stops by every day to feed them and give them their much-needed head scratches, and he even sends an email update during longer trips to let me know how everything is going. I know he cares, and I know I can trust him. It's a huge relief, and I enjoy my trips that much more knowing what good hands my cats are in. I was fortunate enough to discover Katie's Kitty after adopting my 2 cats, Honey & Midnight, 16 months ago. During an extended vacation overseas I left Honey & Midnight in the care of Michael at his home. Michael was incredibly helpful from start to finish by making time to meet with me in his home, being flexible about drop-off and pick-up times, and ensuring that the cats were ready to go when I came to collect them (and after a long flight this was very much appreciated!). I will continue to use Katies Kitty whenever I am heading out of town and can recommend them to anyone who wants their cats loved while they are not around to do so! We are so thrilled with you and know that Indiana is in great care when we are away. Katie's Kitty has been a tremendous 'find' for us and we especially love the daily email updates. Our cat can be 'difficult' and she has warmed to you in such a way that we know she truly enjoys and appreciates your company as much as we do. Thank you for all your help and care for our girl. You've made traveling so much easier because we know she is safe and happy in your care! I was extremely happy with the services provided by Katie's Kitty. My cat sitter was excellent. He came to visit me and my cat before I went away and really took note of the things I told him. 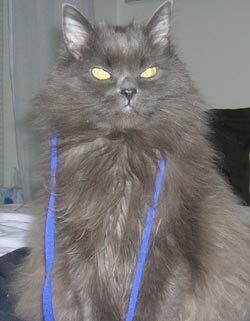 While I was out of town, he sent me a detailed e-mails of how the visits had gone, and it was clear from the e-mail that he had paid great attention to my cat and picked up on her behavior patterns. When I returned home it was obvious that my cat had been well taken care of--she was happy and healthy and barely seemed to have missed me at all! Thanks to Katie's Kitty, I can leave on holiday without worrying about my elderly cat. I return to find her brushed and well-loved, and the food area and litter box cleaner than they were when I left. Never before have I found such a kind and conscientious cat lover to be there for kitty when I'm away. I swear -- when I'm on vacation, it's a holiday for her too. 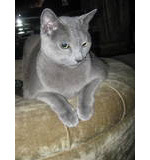 When I found Katie's Kitty online I liked the personal feeling of the site. My worries immediately went away when I met with our cat sitter and he is very professional and personable. And my cat loves him! I've been especially pleased with the email updates I get while I'm away; it's nice to know what is going on with my cat. I highly recommend Katie's Kitty and plan on using them again in the future. Olga & Jeanne, from Katie's Kitty, have taken care of both of my cats, Chelsea & Madison, and have always made me feel very comfortable in knowing that my furry girls are in good hands. They have a genuine love for animals and it shows. I am glad that I found Katie's Kitty as I've tried other cat sitting services but have been disappointed with the quality and/or lack of service in the past. I would recommend Katie's Kitty to any one of my friends or colleagues. Just a quick note to let you know how pleased I am with the Katie's Kitty service and pet sitters. Diane is truly terrific and I have the highest regard for her both personally and professionally. She is warm and compassionate and her love of animals is evident in her care and dedication to Willow. While I am away from home, sometimes for extended periods, I am content in knowing that Willow will receive lots of TLC. My wife and I have been using Katie's Kitty for a couple of years now to watch our cat Bodhi when we're out of town. Scheduling, key exchange, and payment are all quick and easy. Michael is a very conscientious sitter; he even keeps us apprised via email of how Bodhi is doing, offering a nice peace of mind when we're away. He and Bodhi are good friends by now. Thanks, Katie's Kitty! Katie's Kitty has provided my cat and I with several wonderful pet sitting experiences. My apartment is always as I left it, and I know my cat has fresh food, water, litter and love! I am glad to have a cat sitter I can trust so that I feel comfortable when I need to leave my cat at home. It was great to know that when we were on vacation, our dog felt like he was on vacation too! Making new friends, getting fed and watered on time, and getting walked lots, meant that we were not constantly worrying about him. The daily updates by Katie's Kitty were a great service too - something we haven't found anywhere else! And it was good to hear that he was settling in and enjoying himself. Thanks again for taking care of our little fluffy thing, and for making sure he was so happy while we were away. Tammy and Jordon, of Katie's Kitty, were absolutely amazing. Not only did they shower my cats with love and affection, as well as tending to their food/litter box needs, but they also reassured me daily with ongoing emails and photos so I could feel certain that the cats were in the best hands. I felt connected to my cats while away (over 2 months!) and completely satisfied knowing that they were content and well taken care of. Tammy even notified me when one of my cats threw up, and also called the vet all while assuaging my fears and worries. Tammy and Jordan were truly the best people to care and love my cats and I am so happy with this service-I would not hesitate to highly recommend it to my friends and/or use it again! Thank you for your professionalism, care, and integrity when it comes to my beloved pets. We had Olga as our catsitter, and she was so so LOVELY and GREAT with our 2 "boys". It was the first time we actually left our cats alone and they did so fine, I think they even didn't miss us. We are so thankful with Olga and of course Katie's Kitty for everything. 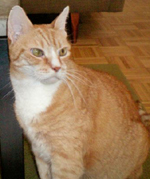 Editor's Choice, NYC Pet Sitters - Pet owners go away and typically stay in a nice hotel. Pets should be happy, healthy and have comfortable accommodations too when their owner is away and that's exactly what this service provides. Bravo! Katie's Kitty offers New York City dog owners a wonderful alternative to boarding their dog at a kennel. I highly support the method of pet care used by Katie's Kitty and believe keeping a dog in a home environment is always the best choice. Michael, from Katie's Kitty, has watched over my Siamese many times in the last few years. I appreciate how much anxiety arises over leaving pets for an extended period of time. In my case, I travel in rural India when I'm away from New York, and need to feel secure that things are being handled well in my absence. With Michael, at Katie's Kitty, I have 100% confidence. I needed someone I could trust to take care of Hermione and McGonagall while I was in India for a couple of weeks for work. Katie's Kitty really came through. Your service was everything I could have asked for - you spent time with my cats and cared for them as if they were your own, occasional updates were sent via email, and everything went perfectly. The quality of the time you had spent with the cats was apparent. Thanks, Katie's Kitty - I will be counting on you the next time I need someone to care for my cats. We'll definitely use your (Katie's Kitty's) services again the next time we go out of town. It's very nice knowing that our pets are being taken great care of while we are away. I can honestly say you will never find anyone like Jane, from Katie's Kitty, who cares so thoughtfully about an animal in her care. She is totally devoted to the welfare, both mentally and physically of the animal(s) she is watching over. Jane is just as respectful and meticulous in leaving a home exactly the way she found it. It’s like your adoring mother taking care of your children. I'm extremely pleased with my Katie's Kitty experience. I recently adopted my cat Cleveland and he is very feisty and needs lots of attention! I was nervous to leave him by himself during my four day vacation. Jenny was a wonderful sitter and checked in on him daily. She was extremely thorough, texted me daily updates, and even sent me pictures. I will definitely be using this service again and highly recommend Jenny! In order to honor the privacy of our clients, their contact information has not been listed. However, this information is available upon request.